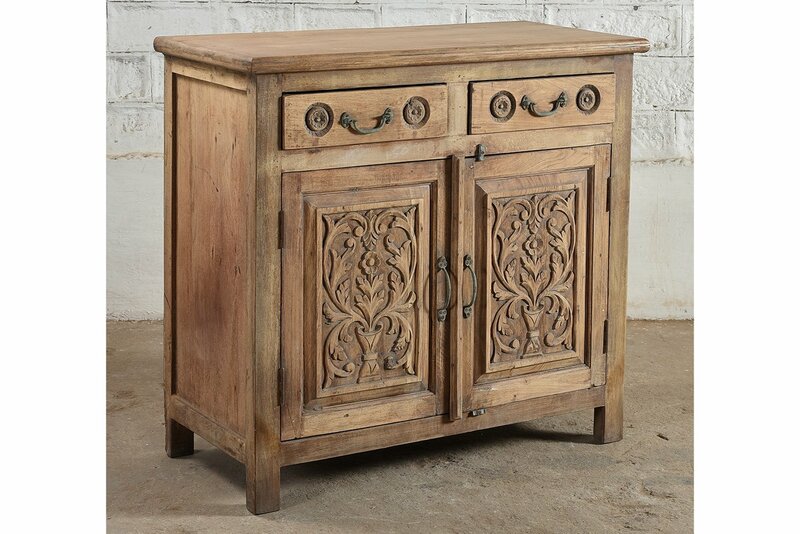 This cabinet has a timeless design that is enhanced by the natural beauty of the wood. 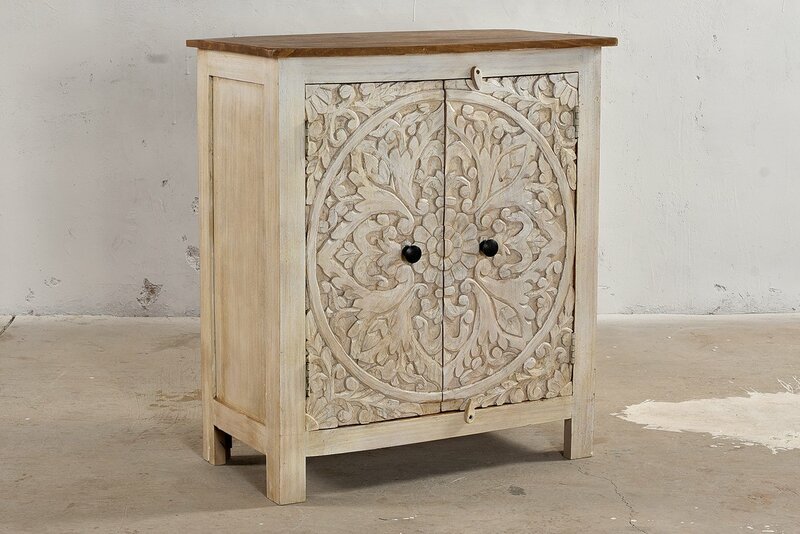 The carved wooden doors feature an elaborate plant pattern and the drawers too have deep circular engravings. On the practical side, the 2-doors open to reveal a generous, shelved space that is further supplemented by the 2-drawers.